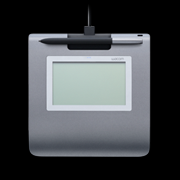 The DTU-1031X is the economical solution for corporate or institutional customers who require a display with a minimal footprint that allows users to view or fill out full-size documents and sign them electronically. 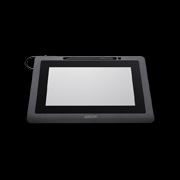 With its 10.1” LCD, customers can clearly see the contents of a document and sign with confidence. 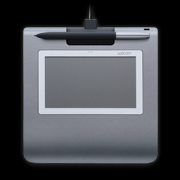 The STU-530 features a 5″ high-quality, high-resolution color LCD screen providing ample space for both signatures and promotional messages. It offers a very comfortable signing experience with an improved, thin design and a low-profile, flat surface. The large, vibrant screen makes it ideal for businesses wanting to utilize the signature pad for advertising, promotions or branding while it is awaiting the next signature.